Offering you a complete choice of products which include conveyor belt fasteners and oval belt fasteners. 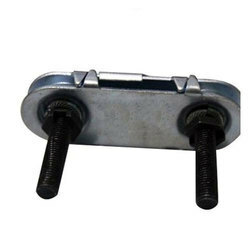 Made of zinc coated carbon steel or wear resistant (WR) steel, dichromate ( Top and Bottom plates). Four type of sizes to meet the requirement of most applications. Each fastener set contains 1 top plate, 1 bottom plate, and 2 bolts. 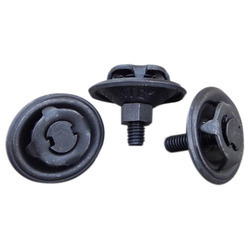 Our Oval Belt Fasteners are painted Auto black finish for longer life & rust prevention.We also provide them in Yellow Zinc Plating as per customer requirements and demand. Looking for Conveyor Belt Fasteners ?